At Crestridge Dental, we can offer a wide variety of dental crowns to patients in the Burnsville, MN area. If you are looking for a great way to fix chips, discolororations, etc., we can help. Crowns are a great option, which can be made of a materials like porcelain or gold, to restore form, function and create a better appaearance in your smile. As part of support for a fixed bridge. To prevent a cracked tooth from becoming worse! To serve an aesthetic use when a discolored or stained tooth needs to be restored to its natural appearance. With proper care, a crown could last a very long time. It is very important to perform daily care in the area of the crown, to ensure optimal health and longevity. 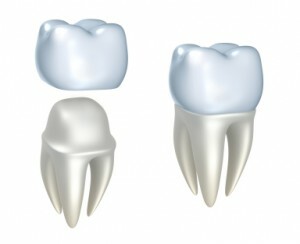 For more information on dental crowns, please visit: http://www.mouthhealthy.org/en/az-topics/c/Crowns.